Primary sludge pumps typically pump from a digester to a screening area at a Waste Water Treatment Plant. 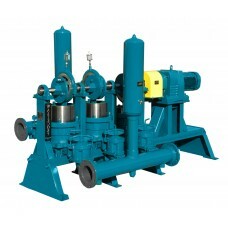 Today's primary sludge pump must be able to transfer rags, sanitary wipes, stringy material and abrasives. Wastecorp manufactures the ultimate primary sludge pump with our Sludge Pro next generation double disc pumps and Sludge Master Plunger pumps. 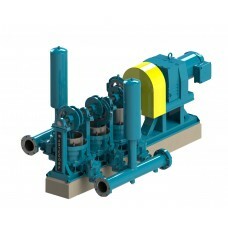 Wastecorp represents over 20,000 pump installations worldwide. How has your community changed? 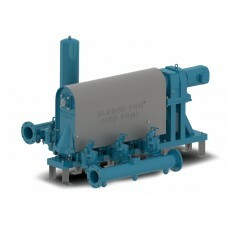 What will your primary sludge pump needs be in 5 or 10 years in the future? Developing a plan for your primary sludge pumps will help determine what your pumping needs will be. What are the capacity requirements of your primary sludge pumps? 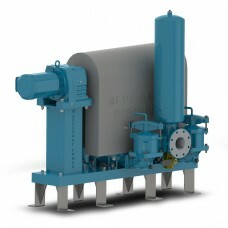 Will you have a grinder on the suction line before primary sludge gets to the pump? 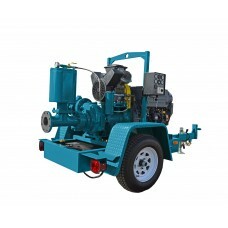 Wastecorp provides optional installation and training services on primary sludge pumps. If you have a new team or will have a new pump technology, operator training can help you start and stay productive. With a local primary sludge pump representation market, your facility will have access to local service and repair when needed in many area. 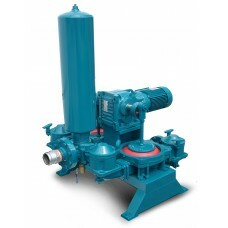 Parts and service are available for your Wastecorp primary sludge pump throughout the lifecycle. Most parts are available within 24 hours and service is a phone call away. 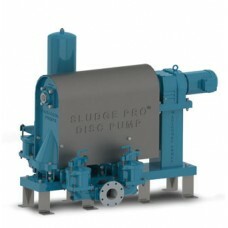 Pump sewage and sludge up to 418 GPM at up to 130 ft of head with Sludge Master HPE 1143 plunger pum..
Pump up to 220 GPM with the Pro Series Mud Sucker 4B-EC-DD, electric driven double diaphragm pump. U..